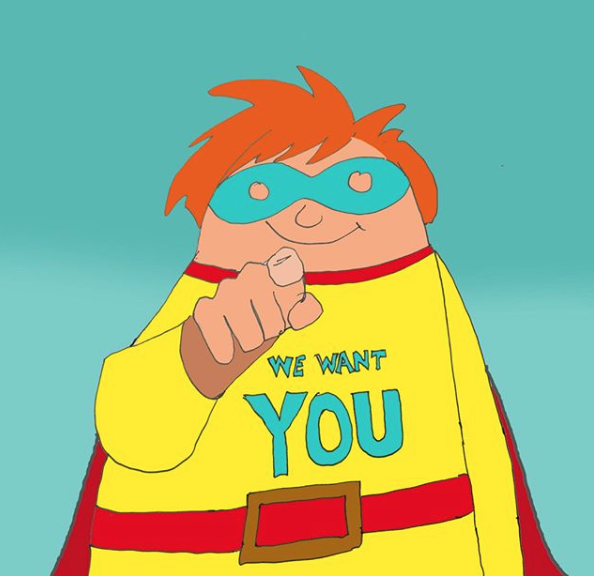 As part of the UK’s one and only mass-participation disability sport series, Superhero Tri is calling on budding sports enthusiasts to team up with some familiar faces. Participants – or Everyday Superheroes – are already suiting up and digging out their capes for this year’s tri challenges set to be held at Dorney Lake on 17 August. Discarding cut off times and equipment restrictions: anyone can get involved in the Superhero Tri. Do you want to get involved? Well, now is your chance. The Superhero Series is launching their celebrity competition next Thursday (7 March) as part of the Celebrity Challenge. You have the chance to team up with a famous team captain to take on a stage of the Sprint Superhero Tri. Sophia Warner, founder of the Superhero series, explains: “Our past winners have ranged from two to 82 and have come from all walks of life! “What they and their families all shared was a strong Superhero spirit that saw them face this and many of life’s challenges with great passion and positivity. Sophia continues: “All you need to do is share your story and tell us about your own unique superpower for a chance to win a place. “All winners are welcome to bring a ‘Sidekick’ to guide, push or simply accompany them on the course if they wish and all types of ‘gadgets and gismos’ are welcome, from day chairs, handcycles, buggies and trikes to tandems, race runners, blades and adaptive bikes. Who’s ready to take on a challenge this year? Do you know someone who is? Do you consider yourself to be a Superhero? If the answer is yes head to superheroseries.co.uk to SIGN Up now & save the day! Past Team Captains have included JJ Chalmers, Billy Monger, Kadeena Cox, Jonnie Peacock and many more famous friends. This year’s celebrities are still top secret but our snooping has assured us that, of the 50-plus Celebrity Team Captains, we’re sure to see some of our past favourites returning, alongside some new captains. The excitement is almost too much to handle. To find out more about Superhero Series or sign up for one of the challenges, head to www.superheroseries.co.uk. Make sure to follow Enable on Twitter and Instagram to see how you can enter the competition on 7 March for your chance to win a spot on the 2019 Celebrity Challenge. Be the first to comment on "Get sporty with Paralympians and TV stars ahead of Superhero Tri’s Celebrity Challenge"